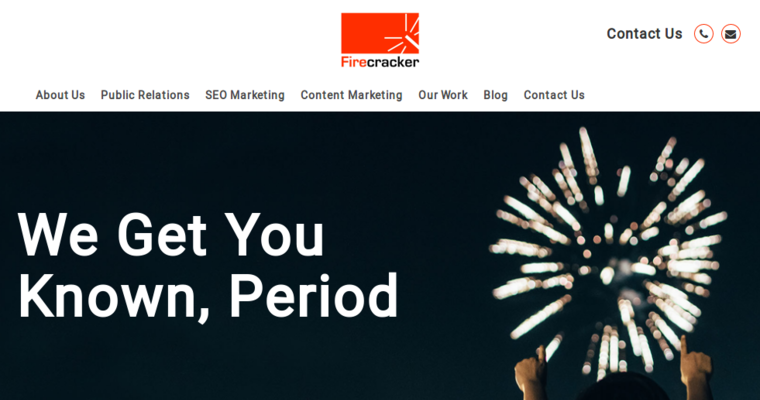 Founded in 2004 by Edward M. Yang, Firecracker PR is widely regarded as one of the best public relations companies in the business. This agency uses a streamlined five-step process to help its clients get noticed. The things they do, from SEO strategies to content marketing and traditional public relations, really work. 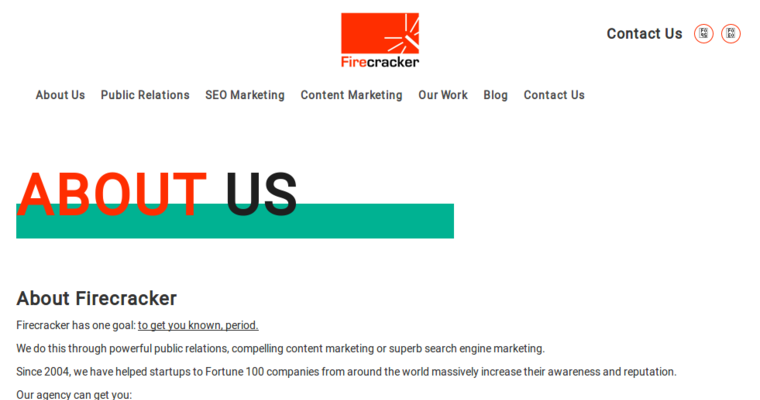 Firecracker often works with clients in the technology sector. 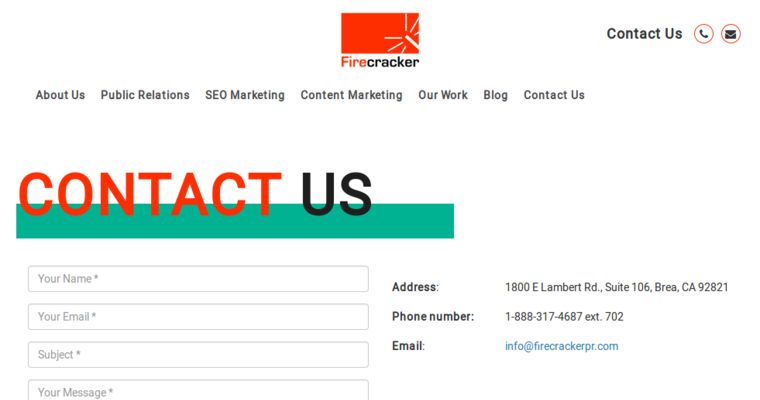 Firecracker PR is located in Orange County, California, near the tech hubs of Silicon Beach and Irvine. This agency is plugged right into the latest market trends. Recently, the Firecracker PR team has worked with 3DLive, Stopoint, and Cognetyx. They also promote non-profits, including groups like the American Heart Association.